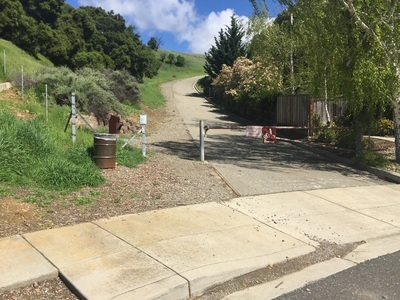 Parking: Free parking in the neighborhood at the Castro Valley address above. Please be respectful of residents. Free parking lot at Five Canyons Park. 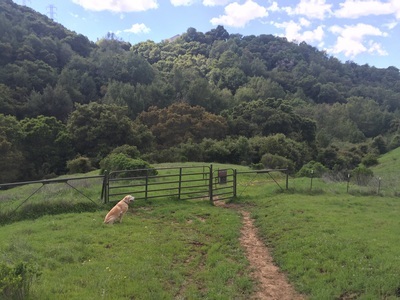 Description: 300-acres may not seem like much, but this park has a lot to offer! 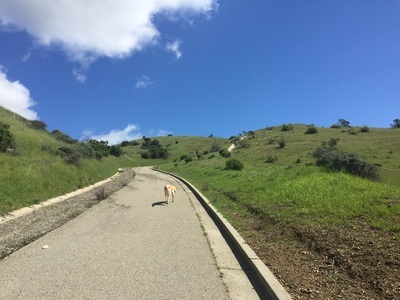 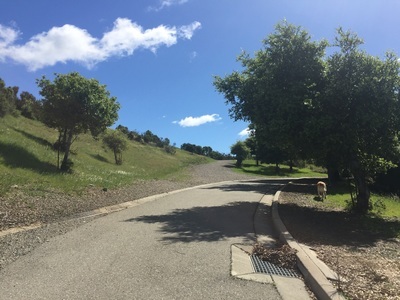 It has panoramic ridge-top views overlooking the bay, moss-lined shady trails along a flowing creek, relatively flat trails, and steep trails for a great workout. 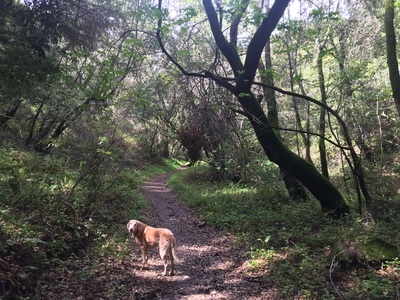 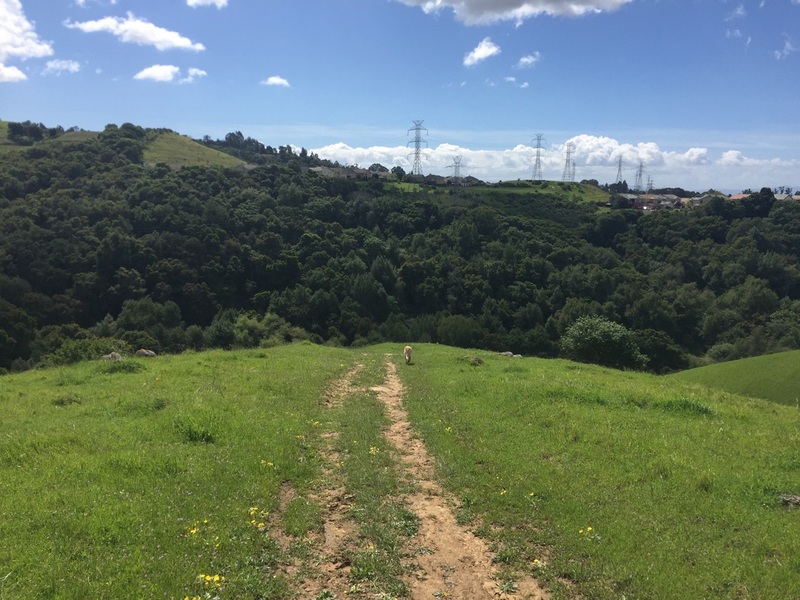 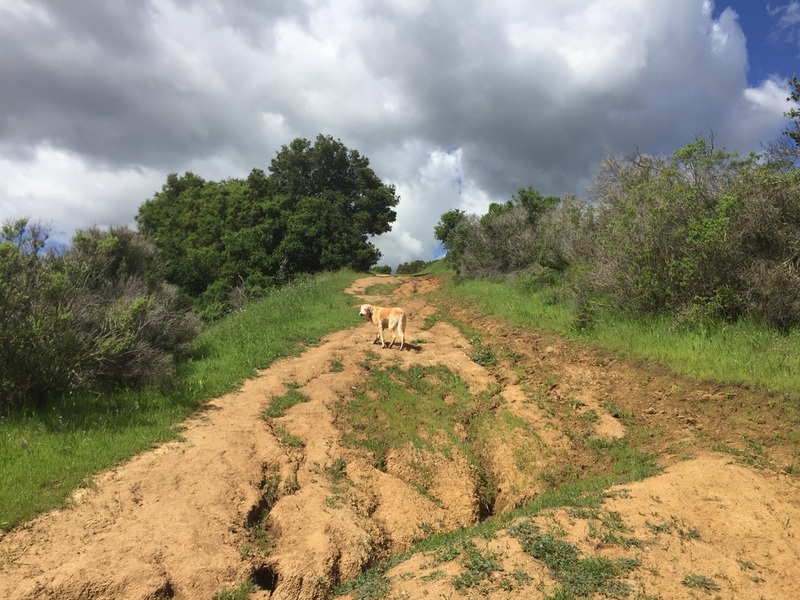 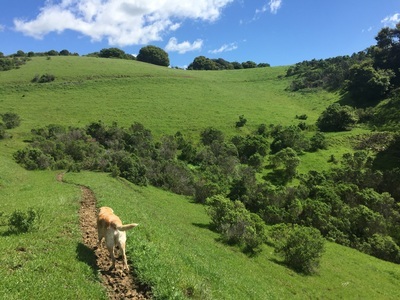 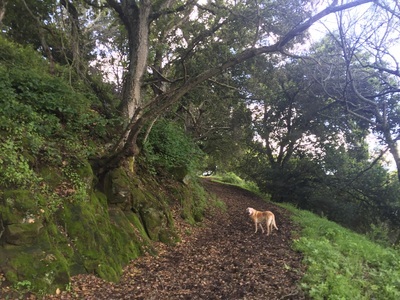 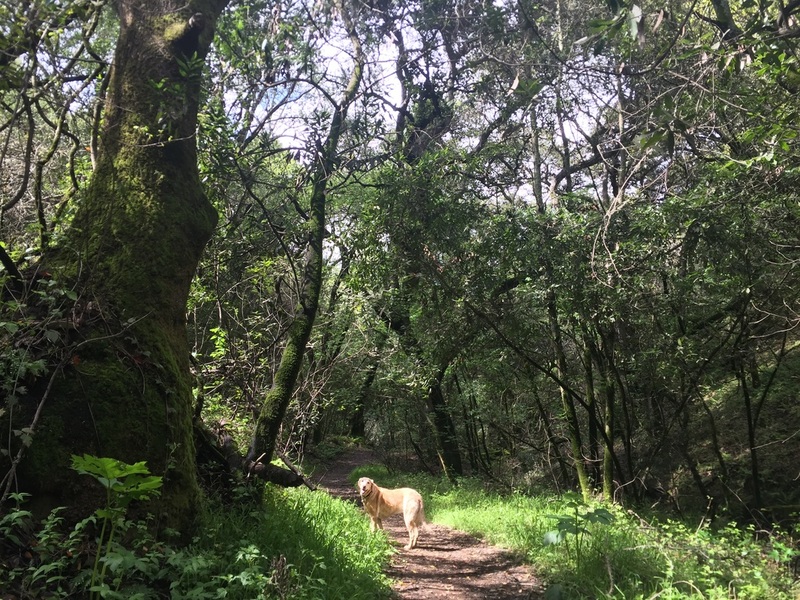 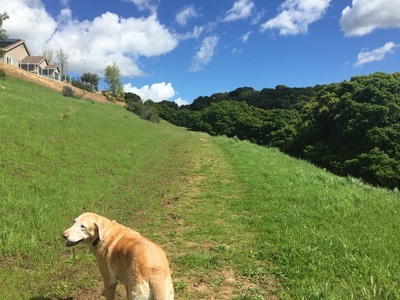 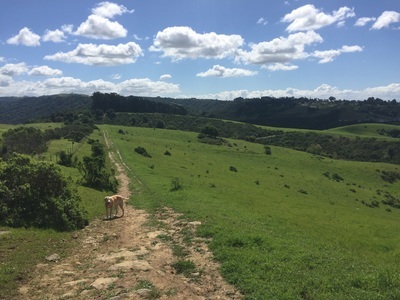 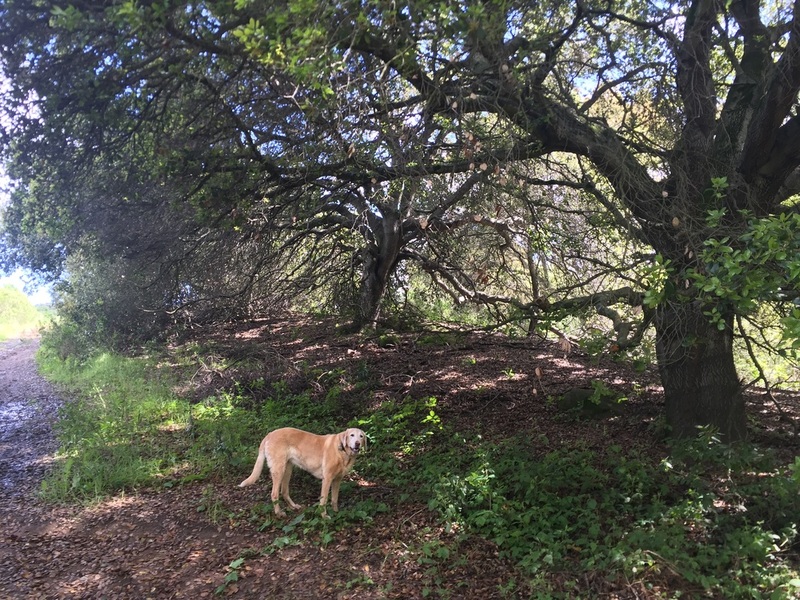 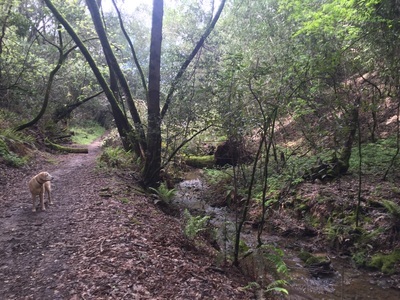 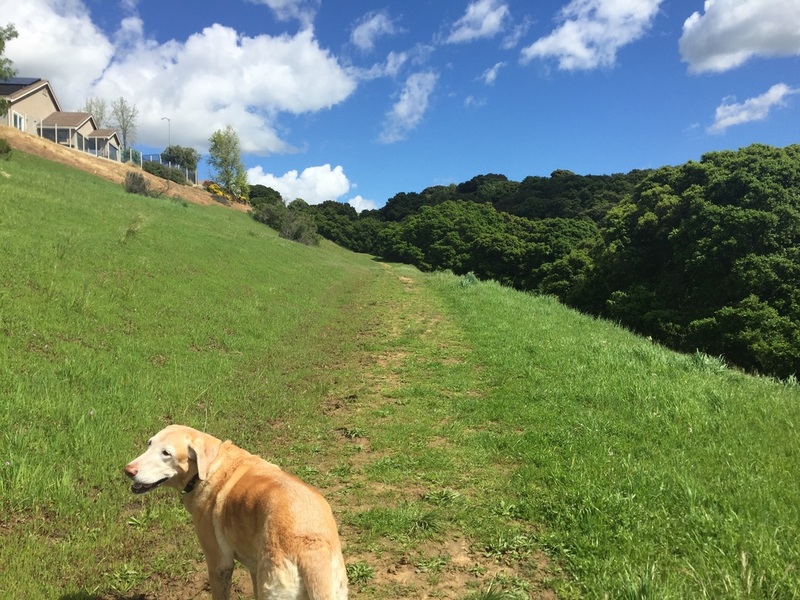 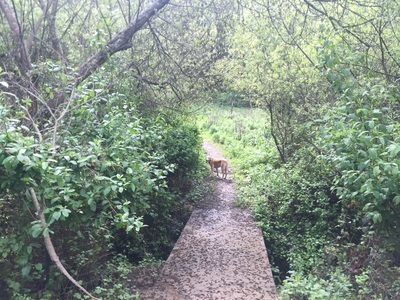 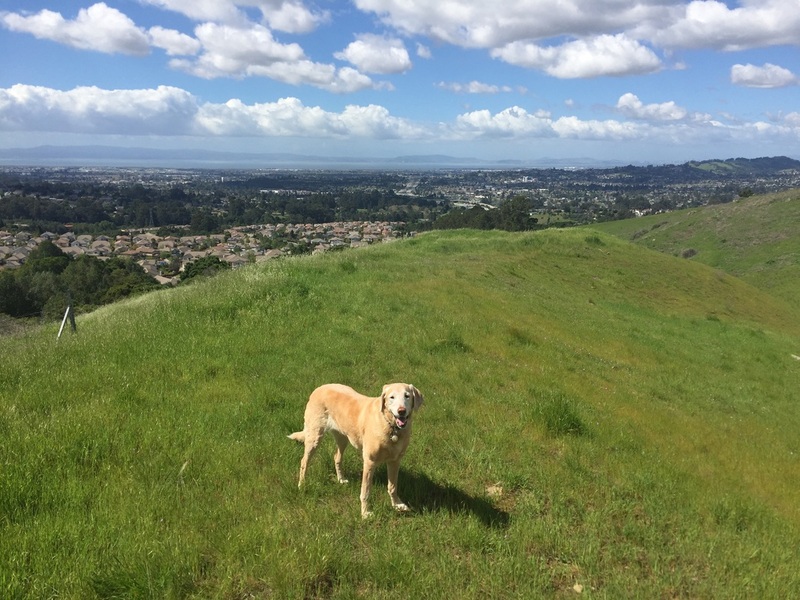 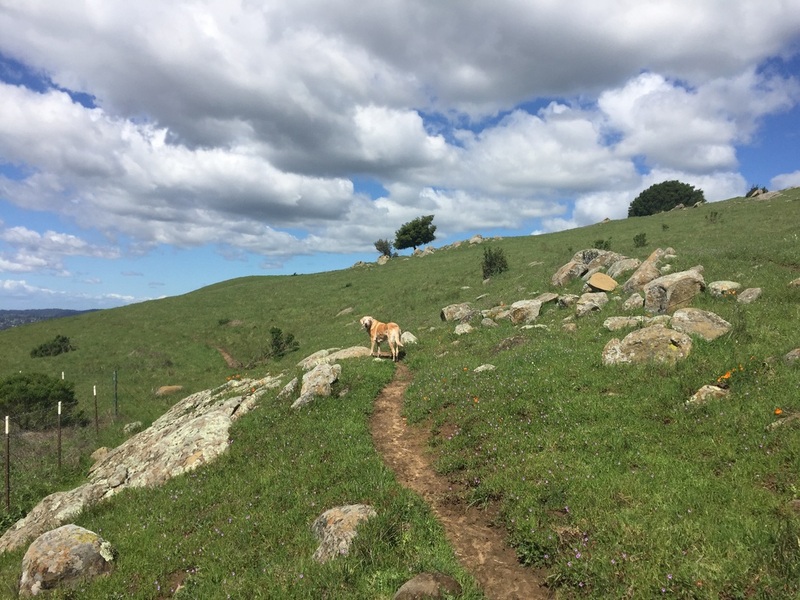 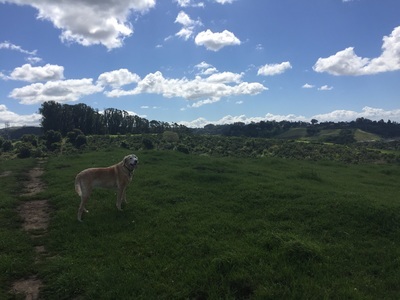 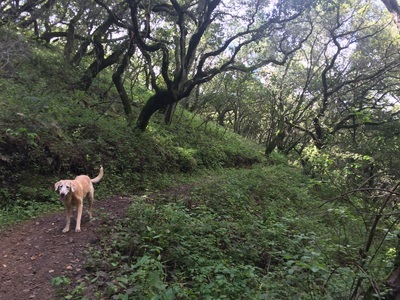 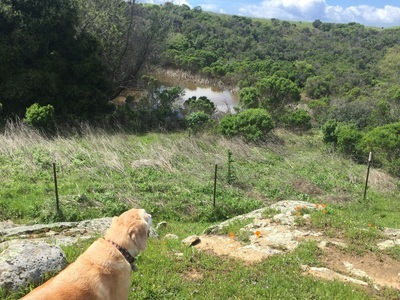 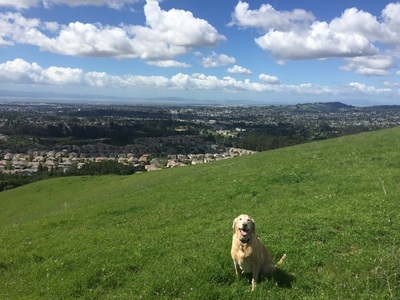 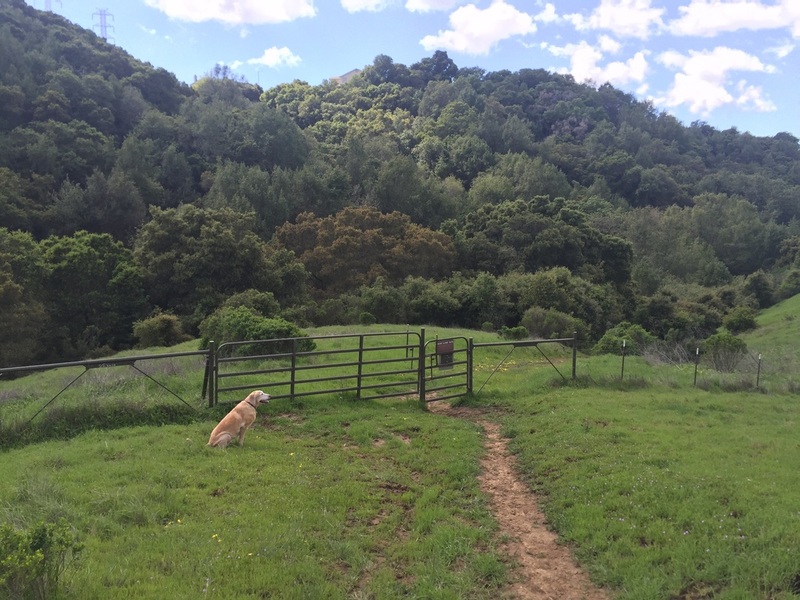 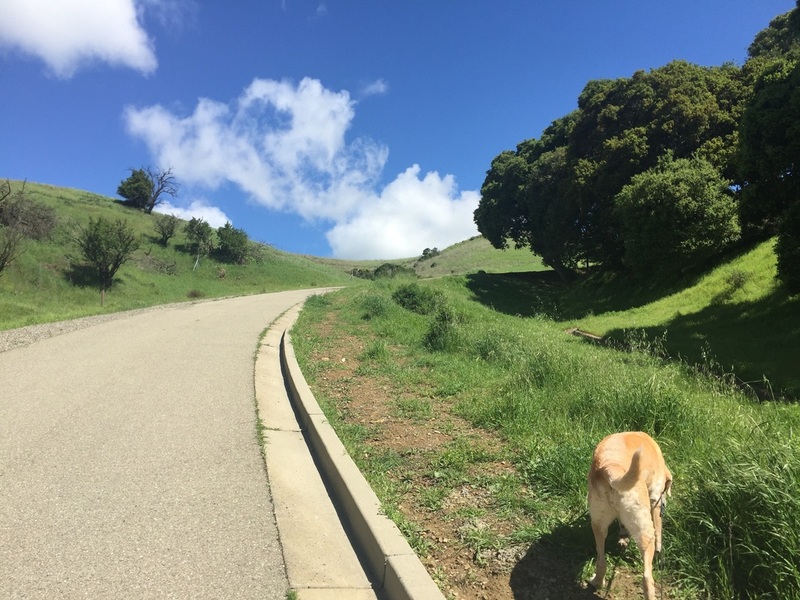 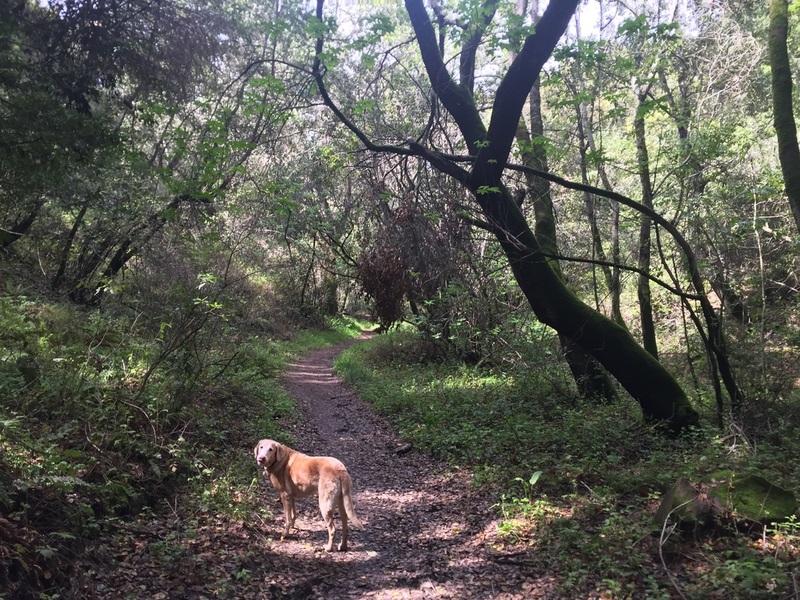 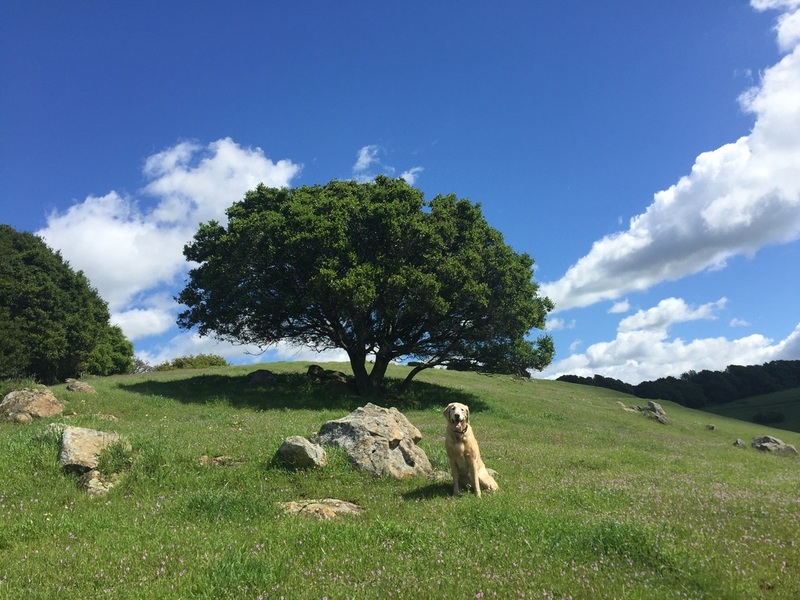 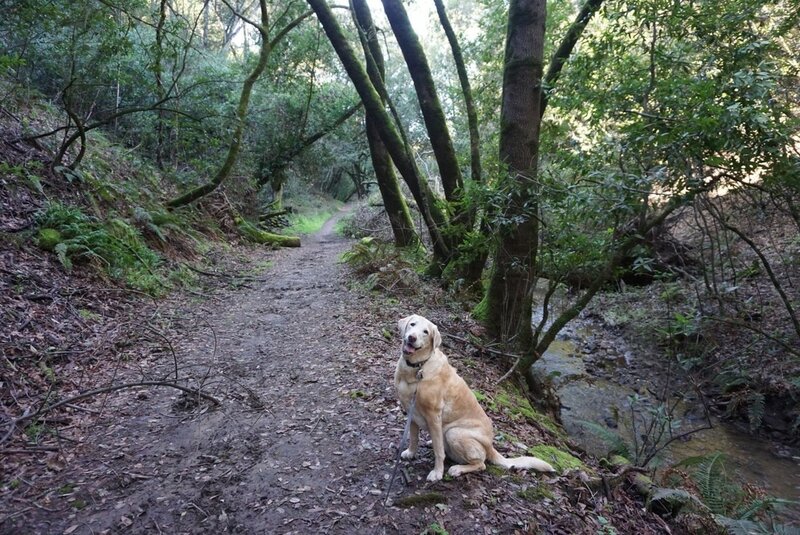 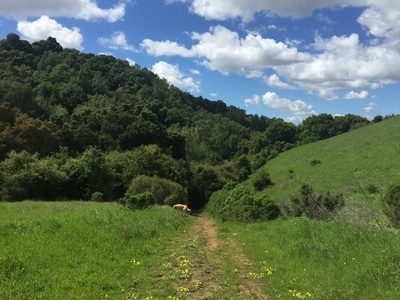 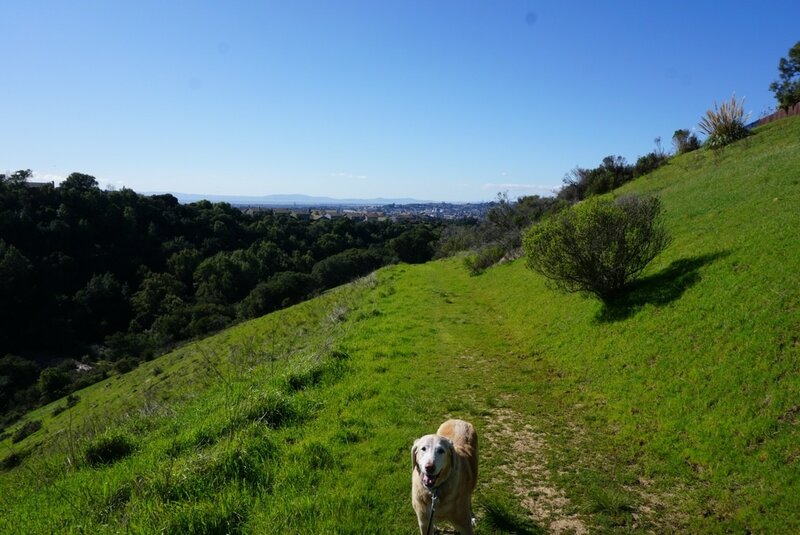 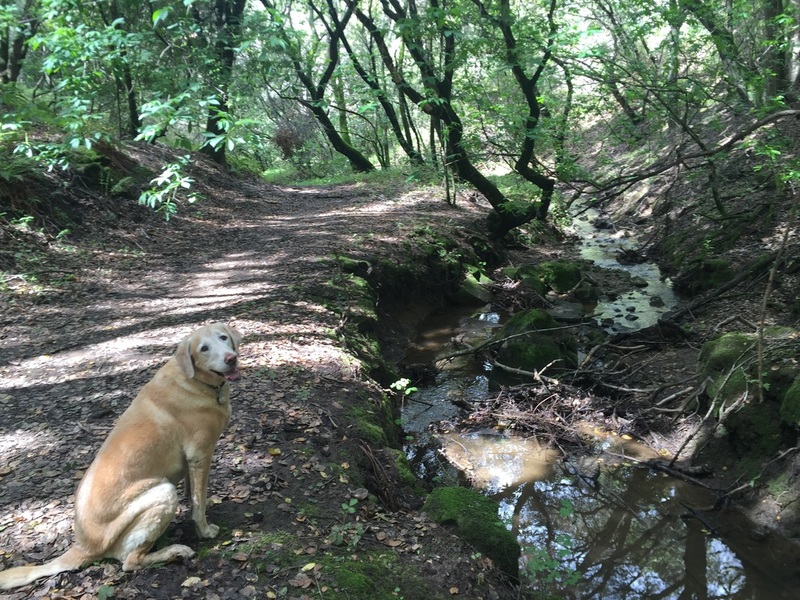 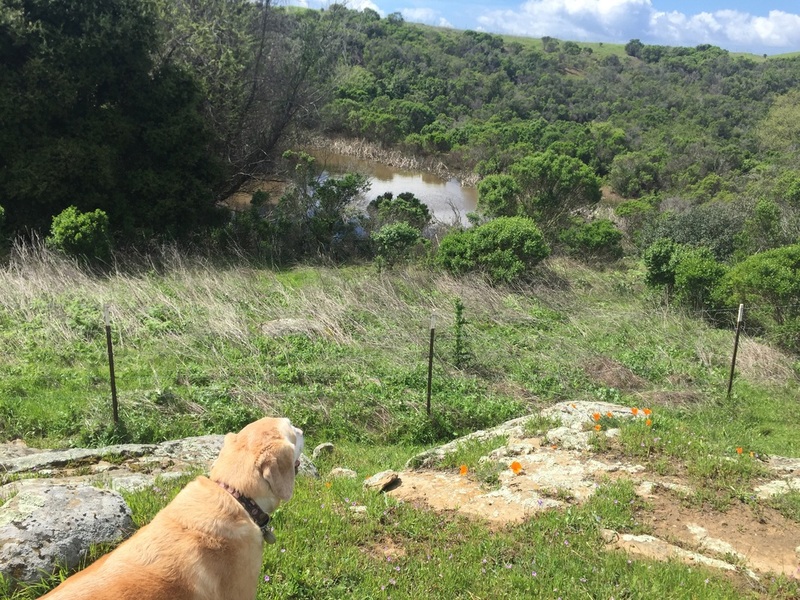 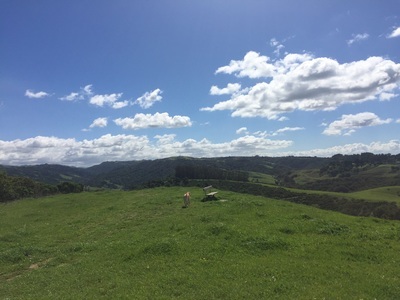 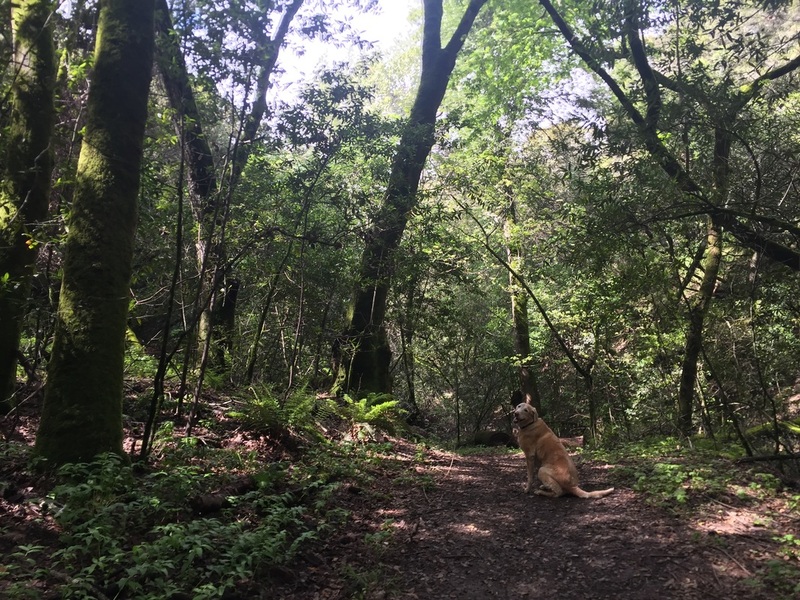 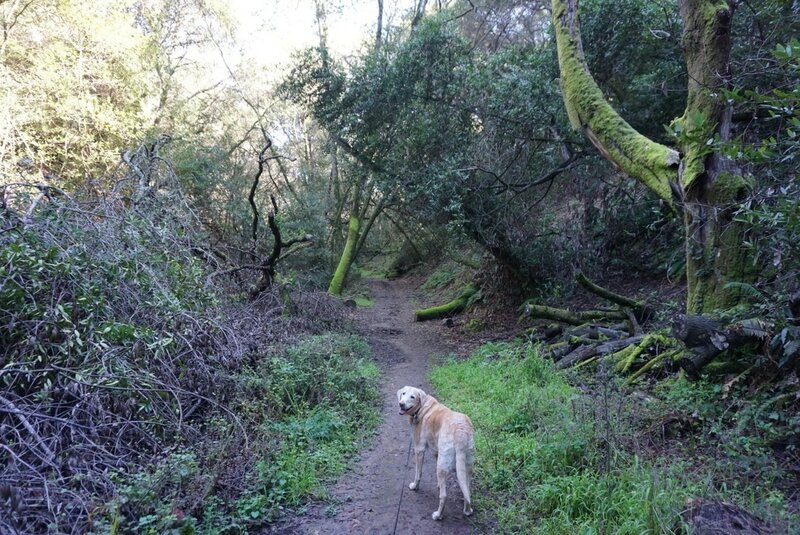 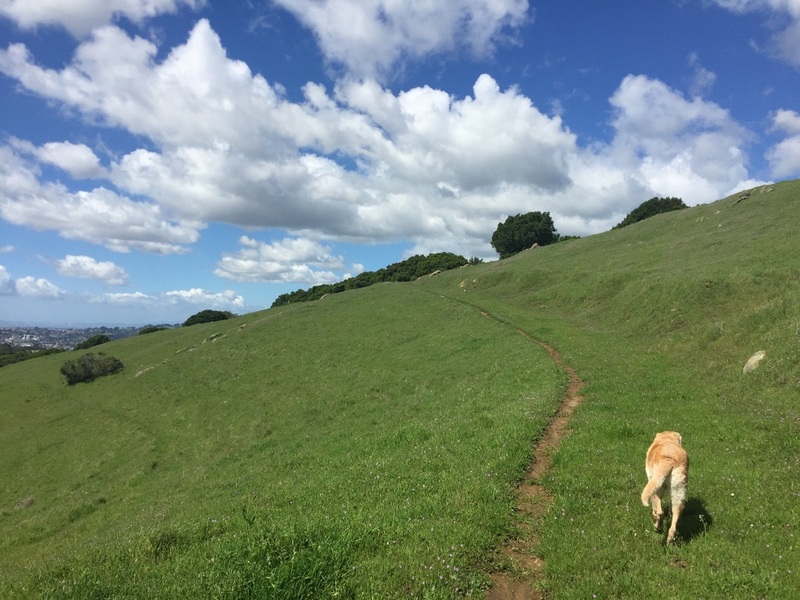 You can hike through this park to Cull Canyon Regional Recreation Area, to Don Castro Regional Recreation Area, and trail improvements will soon link Garin, Dry Creek, and Mission Peak Regional Preserve. This park does not appear on most maps, and is easy to miss. Although you will have to pass through some cattle gates, we did not see any cattle during our hike, and spent about 2 hours hiking throughout the park. Five Canyons has many entrances, but we enjoyed starting in Castro Valley on the Boulder Canyon Drive entrance. 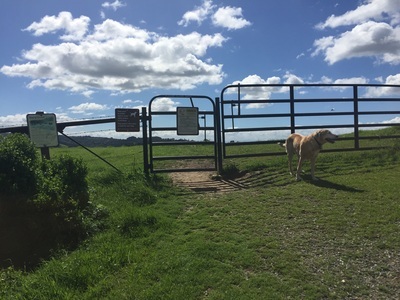 After a steep, paved stretch up, you will come to a gravel trail and soon pass through a cattle gate. 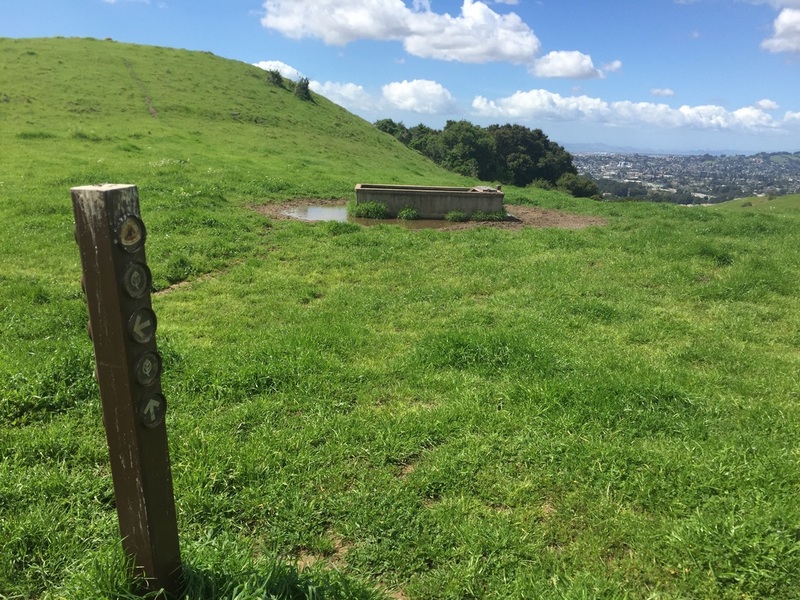 There’s a bench overlooking the bay area, and you can see from south of Hayward all the way to San Francisco. 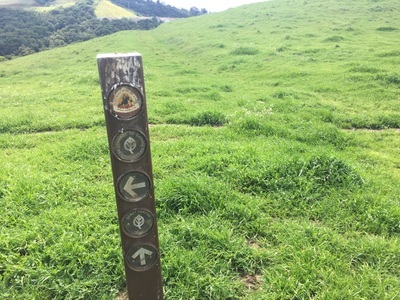 The Ridge Trail travels down along the lush, green hillside, along a pond and eventually to a cattle trough, where you’ll find a trailhead sign. 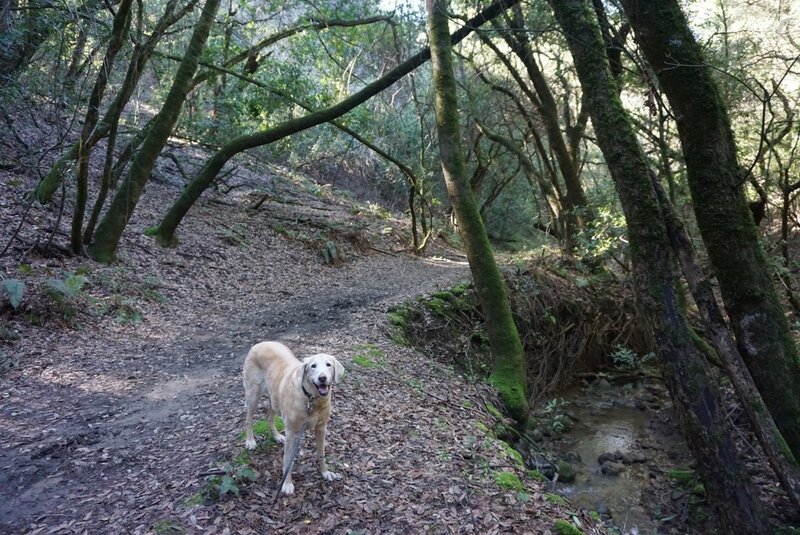 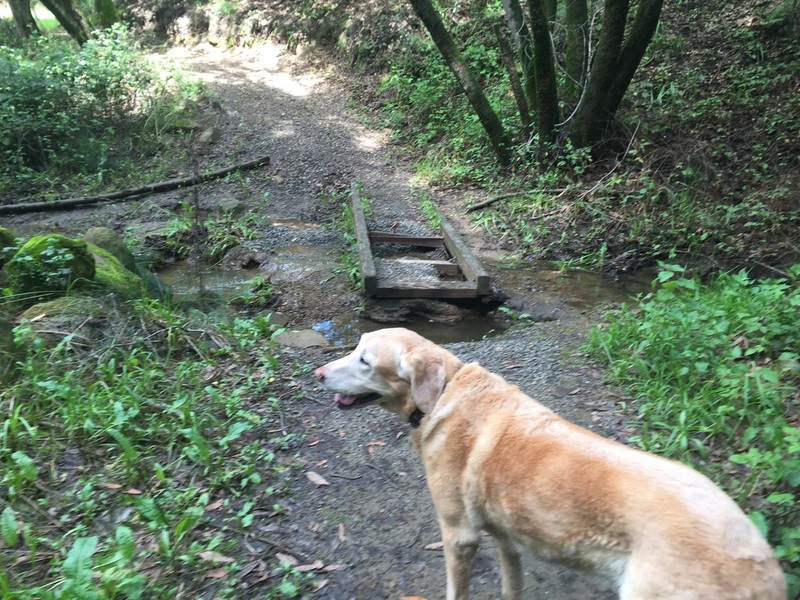 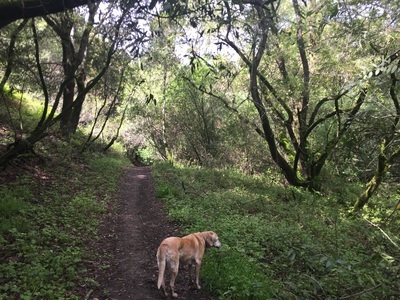 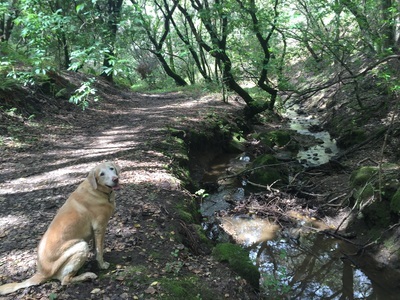 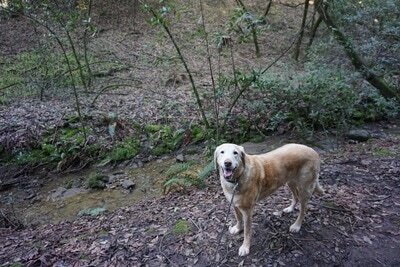 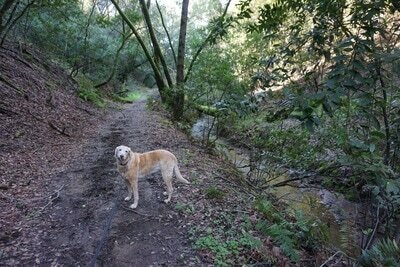 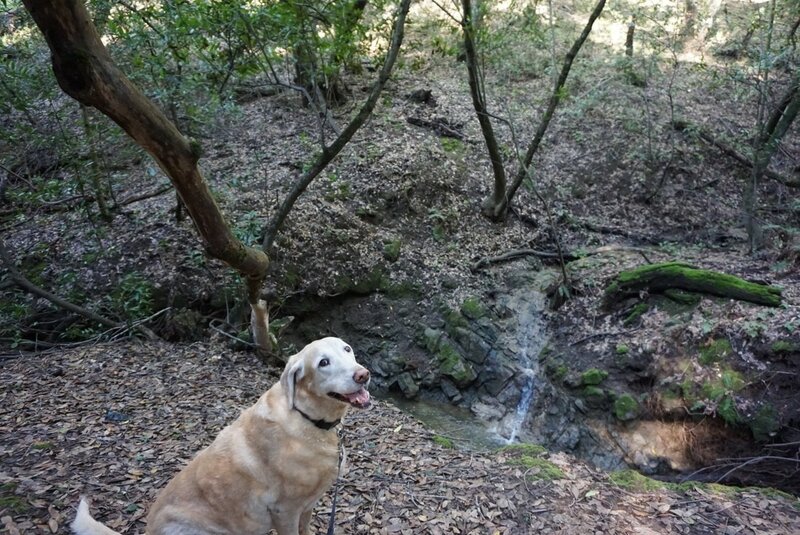 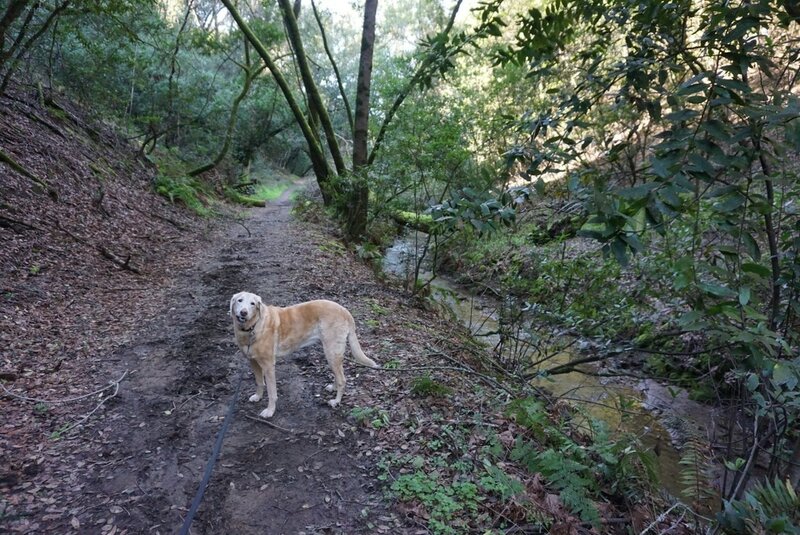 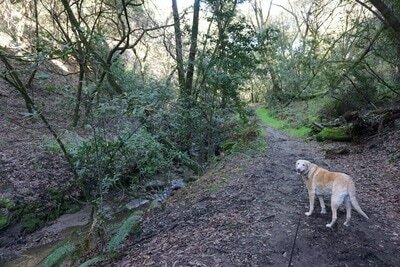 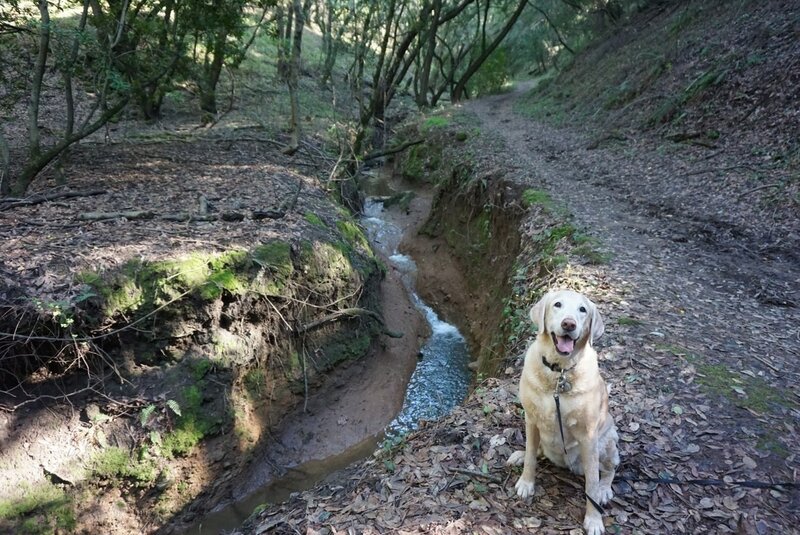 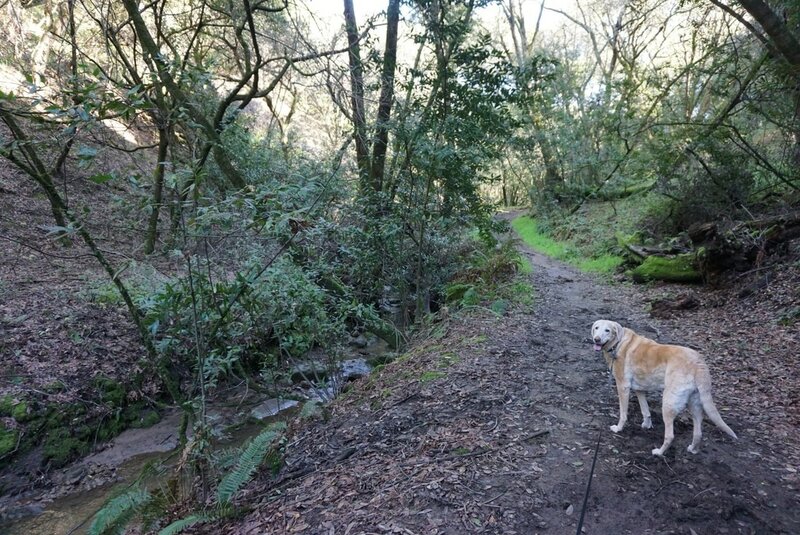 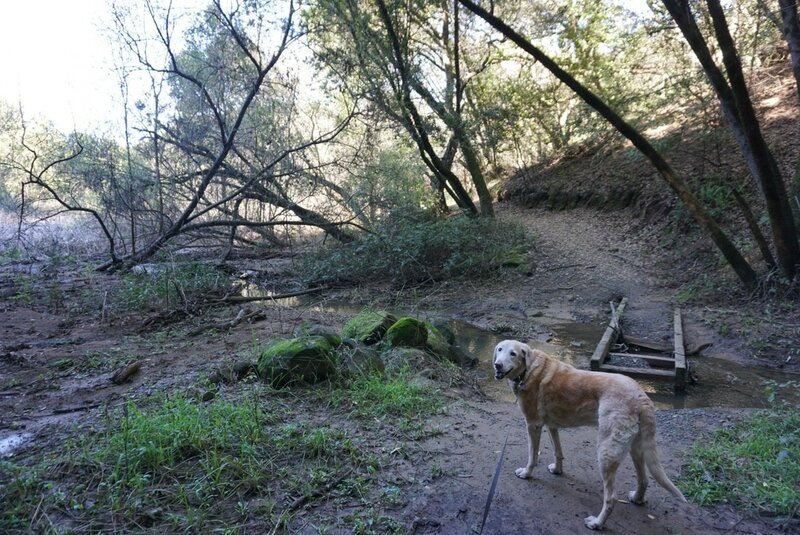 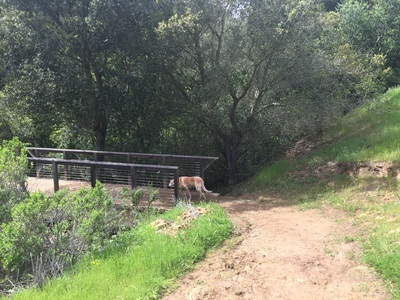 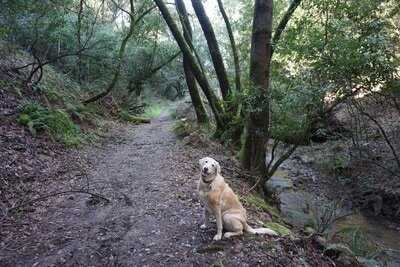 We took Shady Canyon Trail down a steep section, through another cattle gate, and enjoyed a shady walk along the stream. We took Newt Pond Trail back up and retraced our steps to where we started. 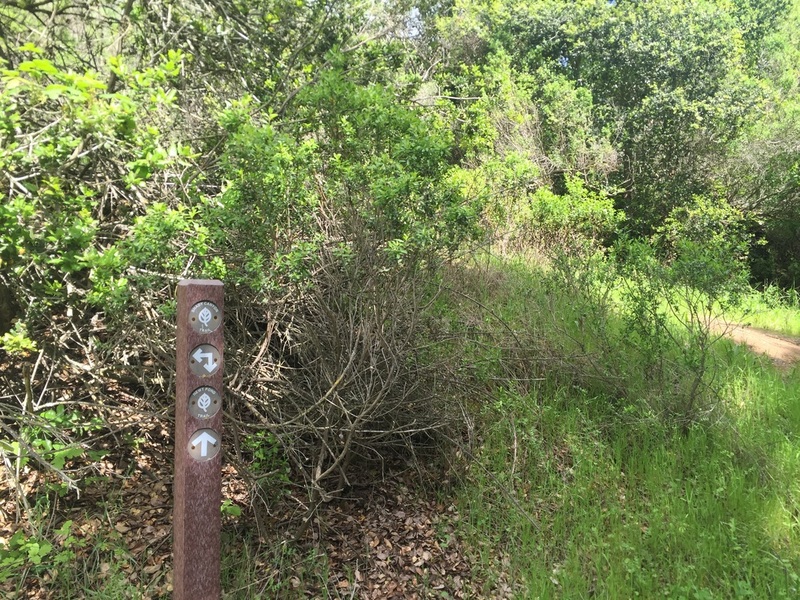 If you are too tired to finish the hike, there is another trailhead half way up Newt Pond Trail that takes you to South Gold Ridge Drive. 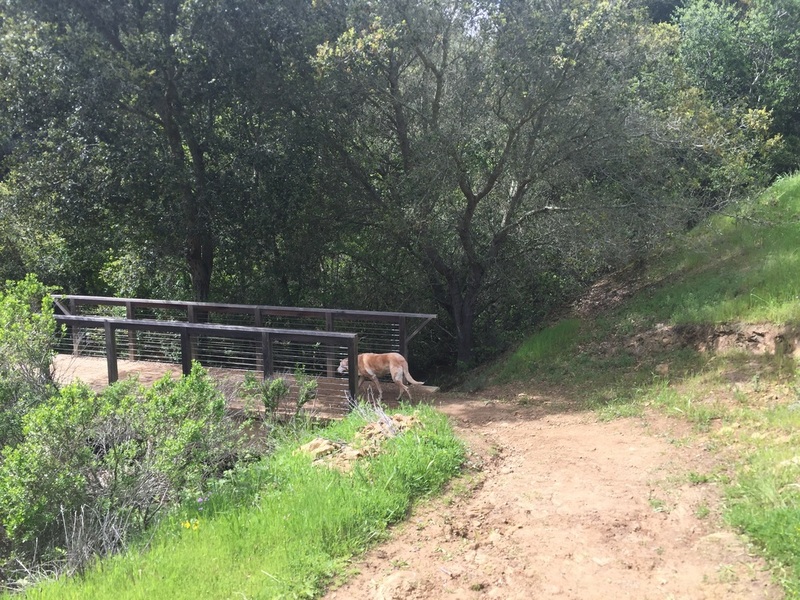 An easy few blocks walk will take you back to where you parked on Boulder Canyon Drive. 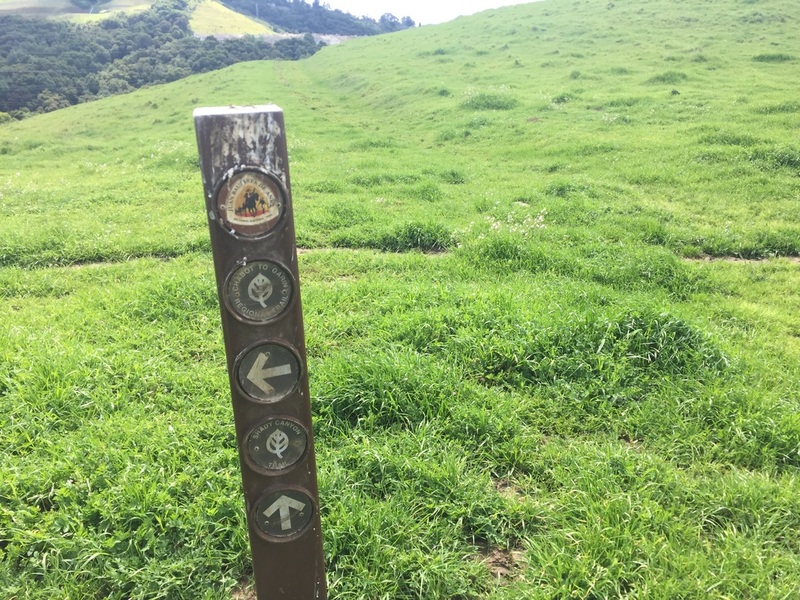 The entire loop hike is a little less than 5 miles. 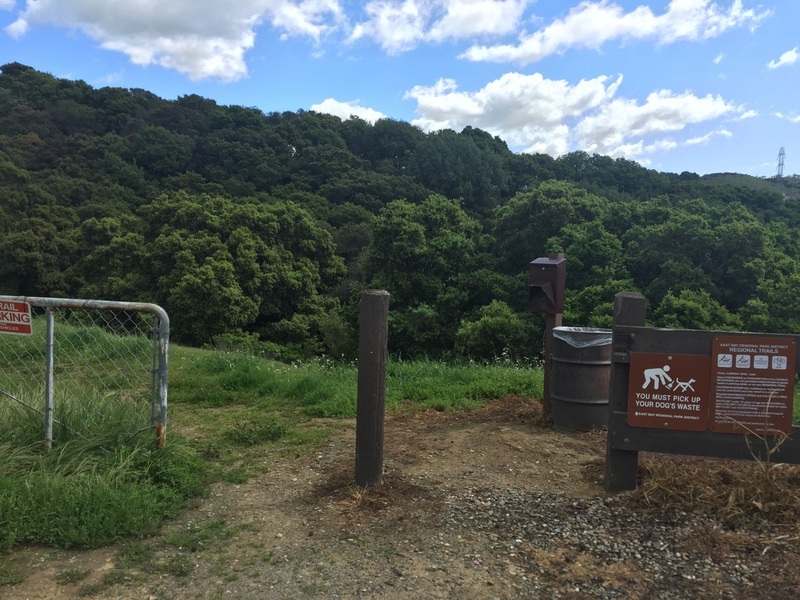 There is a garbage can and doggy clean-up bags at the entrance. No running water or restrooms.